At CrossFit RockSteady we believe improved wellness is attainable for every individual, no matter their age or current physical condition. We pride ourselves in keeping our clients healthy, challenged, and most importantly safe. We strive to create a fun, supportive atmosphere because we know when you fall in love with the process the results will come. Want to check out our box before you commit? Not sure if CrossFit is for you? Come in and try it for free! Your first week is on us. At CrossFit RockSteady you’ll find a diverse community of men and women of all ages who come together to support one another and have a good time. We provide a welcoming environment for all ages. Parents can take advantage of our classes with childcare and kids and teens can develop healthy habits for life with our Crossfit Kids program. Looking for one-on-one attention and personalized programming? A certified personal trainer can help correct muscle imbalances and form issues resulting in your goals being met faster and more completely. The Paleo challenge is an 8 week nutritional program designed to educate individuals on how to make good decisions about how they fuel their bodies in order to lose body fat and improve overall health. 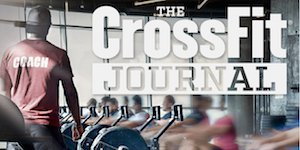 CrossFit has redefined what fitness is and we are seeing the results firsthand. The adage that “a body in motion stays in motion” applies to us humans. What we want for our clients is the same thing that we want ourselves- to train in here so that we can move well outside of the gym. Join us and we’ll show you how to move well not just for now but long term.